Ace Gallagher Stump Grinding has a long history of providing outstanding service to homeowners, municipalities, federal parks departments, boards of education, major tree companies, and over 100 landscape companies in the Morris County are and beyond. We have expanded to offer all phases of tree care. 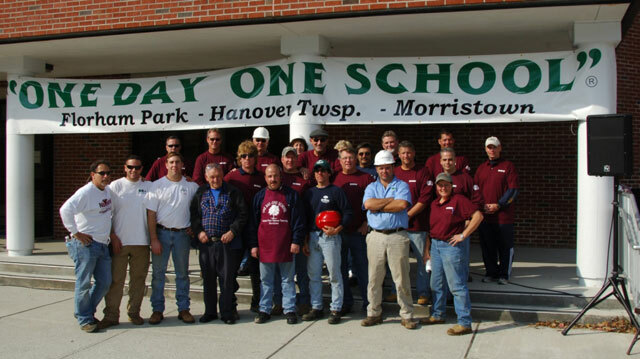 The One Day, One School program brings together tree experts, school officials, town representatives, local companies, and volunteers to make school grounds cleaner and safer. Stump grinding is a process by which a tree stumps and adjacent roots above the surface are ground down to several inches below grade and turned into mulch.